In today’s connected world, consumers move across channels to research, purchase and review products — they are more informed than ever before. The customer journey continues to evolve, and forward-thinking retailers know that offering an exceptional omnichannel experience can be a gold mine. 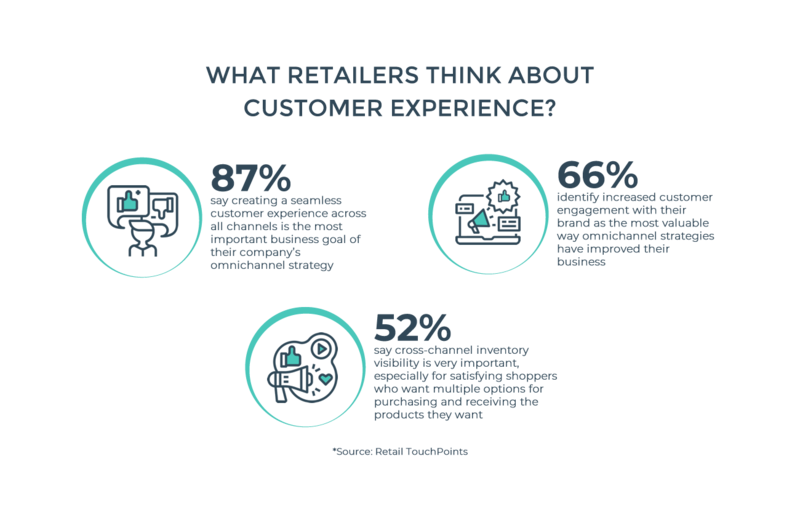 The latest Retail TouchPoints Omnichannel Survey shows that 87% of retailers say creating a seamless customer experience across all channels is the most important business goal of their company’s omnichannel strategy. Connected customers are more focused on experience than ever - they expect personalized offers and engaging shopping experiences. More often than not they don’t think in terms of channels, and they expect a seamless experience at every touchpoint. The fact that some of the biggest online pure plays on the market have dipped their toes into the world of brick and mortar is additional proof that retail is not dead. However, the store of the future will be a blend of the digital and physical world, combining the convenient benefits of e-commerce with the haptic product exploring benefits of brick-and-mortar. Traditional retailers have realized the importance of digital merchandising and the power of first digital impression, while pure-plays found out that even having a small, gallery-like store can have a significant impact on the business. For example, earlier this year retail giant La-Z-Boy acquired the pure-play Joybird, and the online-first furniture retailer Interior Define expanded with more showrooms. The main question here is how to showcase your broad product portfolio with a limited footprint? The answer is simple: technology! What is an Endless Aisle? An endless aisle is a retail concept of using kiosks and tablets in-store that allow customers to browse and order products that are not showcased in-store. They can even order products that are out of stock. Why is it important for both customers and retailers? One of the most important benefits of an endless aisle strategy to customers is product personalization, the ability to get the product they want and when they need it, whether the store has it in stock or not. They can also get faster service, and if the sales associates are busy, and there is nobody immediately available to help, the endless aisle is a good alternative, so customers can look through the products and variations while waiting for assistance. An endless aisle is not a replacement for sales associates. No matter how helpful the tool is, it’s best when combined with sales associate skills and knowledge. So it’s more of an enhancement, than a replacement. On the other hand, an endless aisle can make a retailer’s life much easier. Besides the fact that they can create an engaging shopping experience in-store, an endless aisle can also help retailers prevent customers from leaving the store unhappy because they couldn’t find what they were looking for. It basically means that you are giving your sales associates a tool to sell products that they don’t even have at disposal at the moment. That puts retailers in a good position, creating a feeling that they are never out of stock. According to Forrester Research, Inc. retailers who have put endless aisle strategies to work noticed that this strategy accounts for up to 10% of their revenue. The best thing about an endless aisle is the fact that it blurs online-offline boundaries, enabling retailers to create an endless product assortment. Disruptive furniture companies are already using an endless aisle to address different challenges - everything from stocks and location issues to sales rep challenges. Infrastructure and location. An endless aisle makes it easy for furniture brands and retailers to showcase their product assortment without having multiple showrooms that can take up thousands of square feet at each location. Instead, they can choose attractive locations and open small, gallery-like stores where they will offer engaging shopping experiences to customers. Inventory challenges. 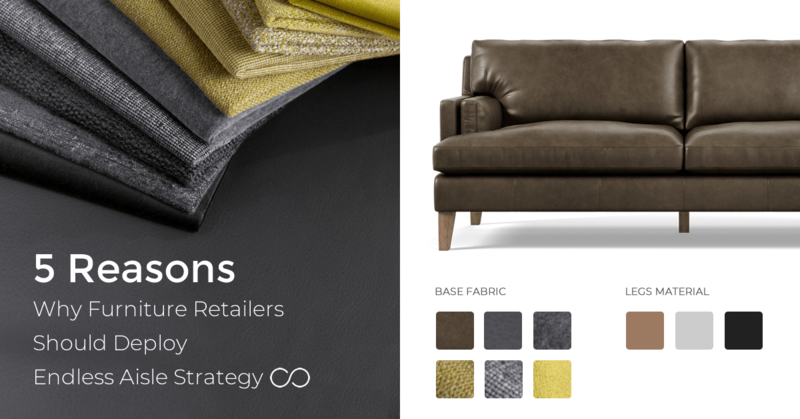 One of the biggest challenges for furniture brands and retailers is stock management. With an endless aisle, they can implement a dropshipping model and showcase every possible variation, but only actually order a product when there is interest in it. Sales representative challenges. One of the main reasons why people choose in-store is to see how a product looks in real life. Having a limited number of furniture pieces in-store makes it harder for sales reps to sell a product. In this case, an endless aisle is a perfect tool to show more and sell more products. The combination of sales rep know-how and endless aisle technology can help boost your sales. Stockouts can hurt your business. According to IHL Group retailers are missing out on nearly $1 trillion in sales because they don’t have what customers want to buy on hand in their stores. Retailers found out that they can reduce lost sales by placing in-store kiosks that give customers the possibility to browse and order products that are not available in the store. Dropshipping is a supply chain management model where a store doesn’t keep the products it sells in stock. Instead, it purchases the item from a third party and has it shipped directly to the customer. By deploying endless aisle technology, retailers can promote their whole assortment. These interactive touch screens allow your customers to browse through the virtual inventory and check out the different product options that are available. Get the most out of the limited in-store space, by offering an experiential retail journey. Furniture retailers are aware of the importance of the first impression, which in most cases happens online. However, brick and mortar furniture stores are still the favorite channel for buying furniture. 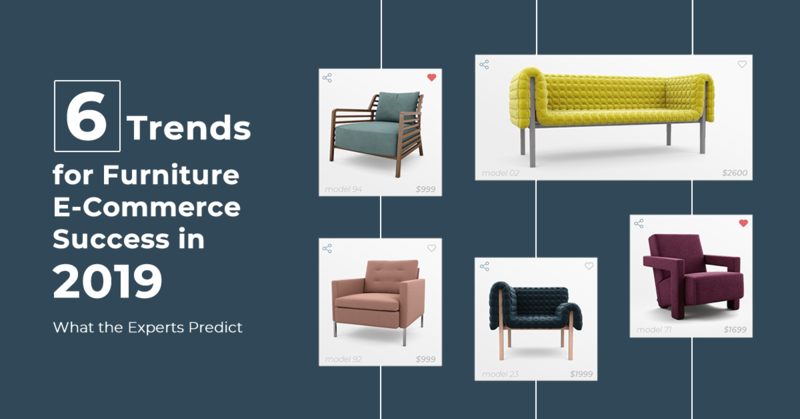 Research from Furniture Today shows that the number of purchases made in-store is dropping as we see a shift in generations — 82% of Baby Boomers said that they bought upholstery furniture in-store, as opposed to 74% of Millenials — but this is still a very high percentage of purchases. Knowing these facts, experts predict that showrooms will become smaller and more tailored to the customer’s needs. And instead of being sales-focused as in the past, stores will become shopper-centric, focused on creating valuable in-store experiences and personalized conversations with their customers. Endless aisle strategies can help furniture retailers turn their stores into destinations with engaging experiences. No matter how big your showroom is, you can never showcase all of your product variations due to limited space. Furniture is an incredibly visual industry and showing only colors and fabrics might not be enough for the customers. By deploying an endless aisle strategy, you can empower your sales reps to sell more with less effort. 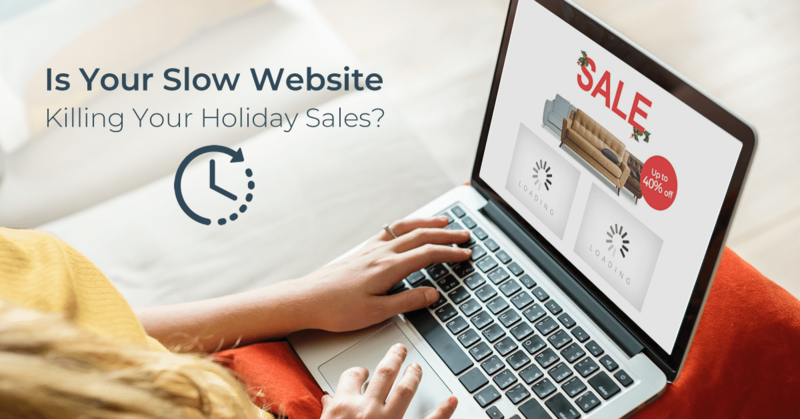 Having your sales staff equipped with laptops, tablets and in-store kiosks makes it easy for them to quickly show customers what the specific piece of furniture would look like. Endless aisle technology becomes a powerful in-store tool in the hands of a smart associate. Their knowledge, combined with the superior visualization of every product variation can do wonders for your revenue. Retailers that think in terms of channels will be surpassed by customer-centric retailers that work on designing the ultimate omnichannel experience. 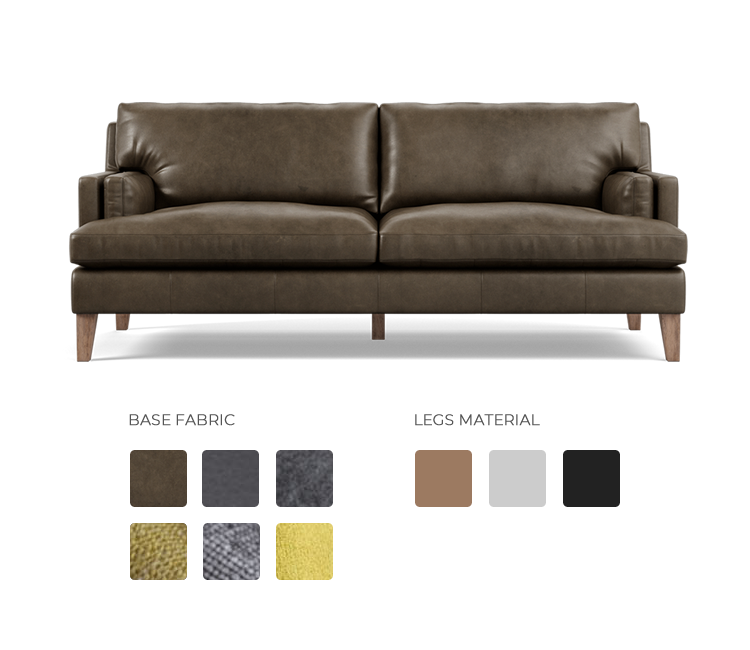 With today’s technological advancements, furniture brands and retailers can create engaging online shopping experiences and showcase every piece of furniture they offer in different colors, fabrics, and materials with superior quality visuals, 360-views, and 4K HD zoom. An endless aisle is a perfect response to evolving customer behavior and their high expectations, whether they are shopping online or in-store. Customers perceive time as one of their most valuable resources, so make sure that the experience you offer in-store is worthwhile. Replace waiting in line with a pleasant shopping experience, forget about lost sales due to out-of-stock products that you can’t showcase, and give your customers a reason to visit your store and make the purchase. 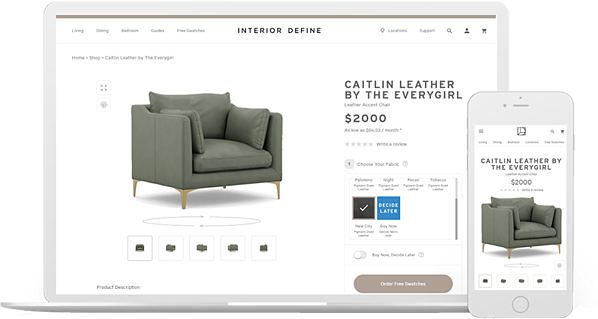 Direct-to-consumer disruptor Interior Define goes above and beyond what other furniture companies offer, providing engaging furniture shopping experience both online and in-store. Despite the fact that they primarily focus on selling online, last year they opened a few new showrooms. However, these are nothing like the typical furniture store stereotype. They are more like guide shops where customers can try out various sofas and chairs, choose the fabric and other options, and then place the order through the website. 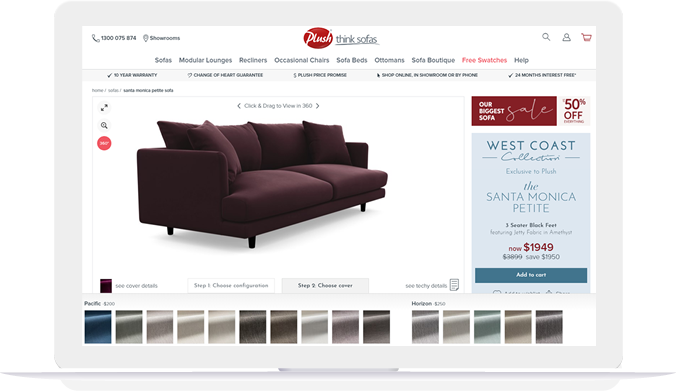 They make sure that the superior product visualization that they offer on their website is also replicated in-store, by equipping their sales assistants with laptops and tablets, making it easy to quickly show customers what the furniture looks like, even if it’s not in-store. A few years ago one of the biggest Australian retailers, Plush, had some challenges with online sales and abandoned purchases because customers were not able to visualize precisely what they were about to buy. 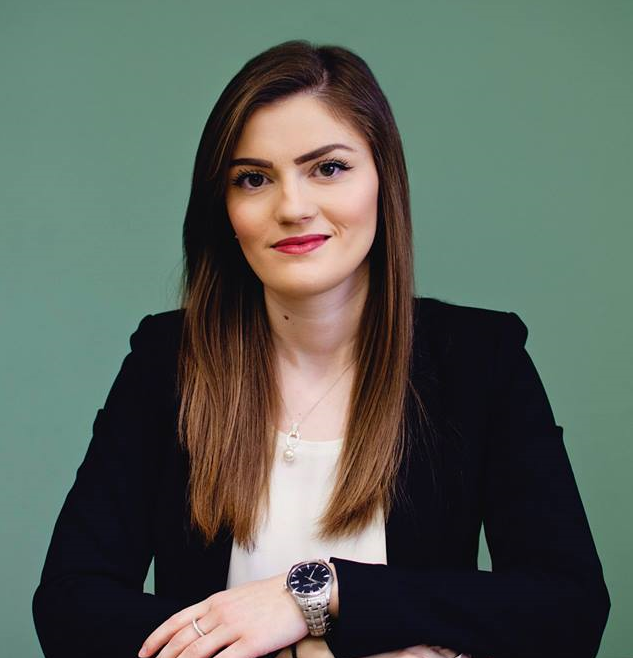 Having in mind that the buyer journey starts online most of the time, it was clear that finding a solution for this challenge would increase both online and in-store sales. After Plush implemented the 360 HD Viewer, their business experienced a complete makeover. They transitioned towards a high-quality experience, and they also leveraged superior product visualization in-store as well, creating an endless aisle and giving their sales associates a great tool to increase sales. Many brands and retailers offer broad product assortment but only carry a few variations in-store due to the limited physical space. That can be a real pain point because of customers’ high expectations for a seamless experience across channels. Being aware of this, retailers are harnessing the benefits of advanced technologies to bridge the gap between bricks and clicks. One of these concepts is the endless aisle that lets retailers display a wide range of SKU variations, thus meeting customers’ needs at the moment when they are ready to buy. Companies with strong omnichannel customer engagement retain an average of 89% of their customers, compared to only 33% for companies with weak omnichannel customer engagement. 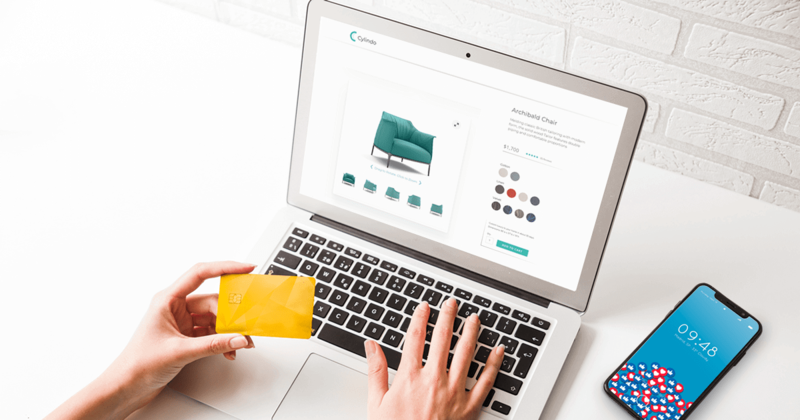 The connection between omnichannel experiences and loyalty is obvious, which is why omnichannel is the ultimate battlefield in today’s retail world. The biggest challenge of selling furniture online is that people often want to get a better sense of what the furniture looks like. On the other hand, it’s hard to showcase every piece of furniture with a limited physical footprint. The bottom line is this, the more product variations and options a retailer has, the more it makes sense for them to implement an endless aisle strategy. Ready to move ahead of the wave? 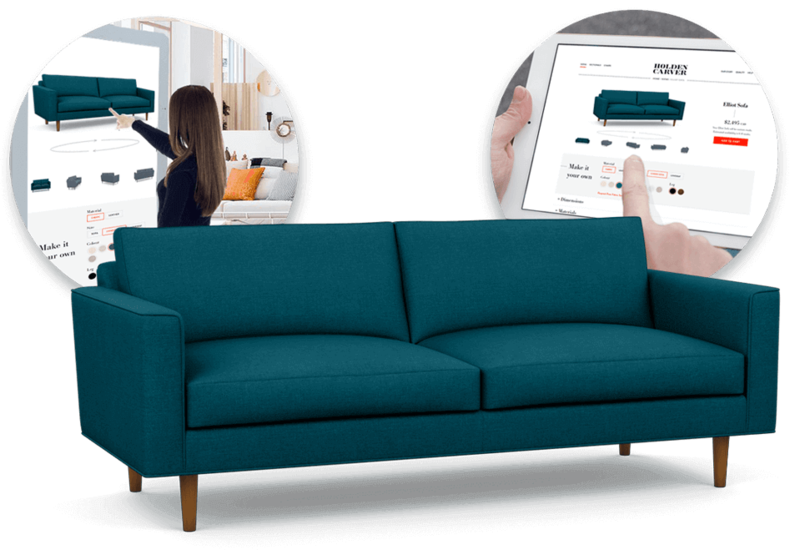 The Cylindo Platform solves furniture visualization pain points and empowers brands and retailers to show unlimited product variations, both online and in-store. Want to learn more?